A book written by school leaders for school leaders! ​The Principal Reader speaks directly to aspiring, novice, and experienced school leaders. The book features 56 leadership narratives from practising school leaders from the United States and Canada on topics such as: leadership theories in practice; confronting the status quo; improving instruction; reconciliation through education; leading through adversity; the challenge of change; fostering collaborative learning cultures; and social justice. These narratives from the "trenches" are a refreshing change from the empty prescriptions we get from politicians, edu-businesses, and those who have given up on public schooling. This book is a testament to the fact that there are committed educators struggling one day at a time to transform public schools in spite of their armchair critics. 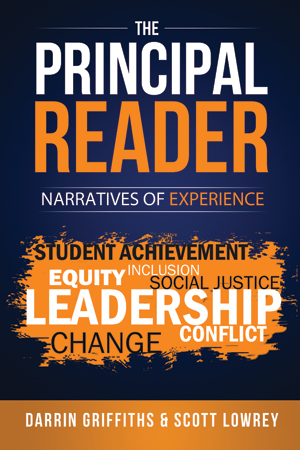 The Principal Reader is an outstanding collection of narratives that conveys the lived texture of learning and the deep ecology of leadership. This is a book that should be required reading for all educators, especially at a time when public education is becoming overrun by business models and commodified by corporate initiatives. The Principal Reader is a banquet of reflective thinking. The insights provided will be illuminating for nearly anyone interested in schools. Douglas J. Simpson, Texas Christian University & Texas Tech University.